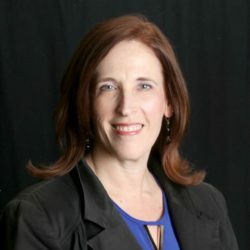 ​Colleen Killian has more than 24 years of experience in applied social science research, data analysis, program evaluation, and technical assistance. She is an expert at translating research into programs and practices that improve safety, permanency, and well-being for children and families. Killian works on the Evaluation Technical Assistance for Title IV-E ​Waiver Demonstrations project, where she provides evaluation and technical assistance to more than 30 states, tribes, and jurisdictions implementing demonstration projects with flexible funding. She is also an evaluation liaison for the Technical Assistance on Evaluation for Children’s Bureau Discretionary Grant Programs. Killian has a Ph.D. in developmental psychology from the University of California, Riverside.